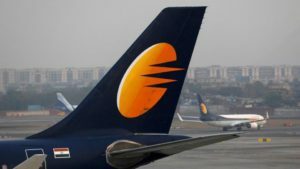 DELHI – The Indian government has asked state-run banks to rescue privately held Jet Airways without pushing it into bankruptcy, Reuters report. Just weeks before a general election in the Asian economy, New Delhi has urged state-run banks to convert debt into equity and take a stake in Jet in a rare move in India to use taxpayer money to save a struggling private-sector company from bankruptcy. A source that remain unnamed, however, said this would be “transitory” and lenders could sell the stakes once Jet revives. If India’s plan for Jet succeeds, then state-run banks including SBI and Punjab National Bank as well as NIIF would together own at least a third of the airline until they find a new buyer.